Maximum withdrawal at Casino Heroes:€20,000 each month. If you want to withdraw more, it will be paid out in installments and you will be subjected to approval and additional verification. Withdrawal fees: Yes but it depends on the payment method. Cancel payment allowed: Yes as long as it is within hours of sending the request. Minimum deposit at Casino Heroes:€10 for the first deposit and €20 for the succeeding deposits. Withdrawals with Casino Heroes should be approved within 3 days (72 hours) or less. This will depend on the payment method. But in case it takes longer than 10 days, you will be informed of the cause of the delay. Deposits at Casino Heroes will instantly be credited as long as it is confirmed and no additional verification is required. Currencies: Euros only. But different currencies can be converted when it is deposited or withdrawn. It will incur fees which will be charged to you. 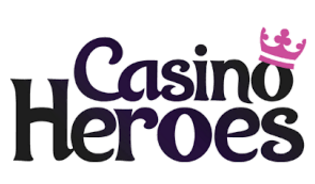 Casino Heroes was an idea brought to life by Scandinavian enthusiasts back in 2014. It used to be known as Casino Saga but it was improved to provide the best online gaming adventure for players. Just like all the other online casinos out there, the thrill of playing games is winning prizes. The great thing about online casinos is they give you the chance to win real money. Of course, that means you also have to make a deposit. That is the only way you can qualify to win real prizes. To do that, you have to create an account with Casino Heroes. You need to register personally by providing your chosen username, password, and email address. Take note that you are only allowed to open one account per IP address or household. Since there will be financial transactions involved, you will be asked to verify your identity. You need to show proof of your age and billing address too. You can do this by showing official documents like an ID, passport, and even your utility bills. The online casino will request specific documents in case what you provided initially is not enough. Make sure to provide colored copies because that is the only copy they will accept. Once you have confirmed your identity, you can now start playing with real money. Probably the most important information that you will be asking is how to make a withdrawal. After all, you wouldn’t want to put your money in Casino Heroes if you are not sure how you will get it back. First things first – you need to log into your account first before you can access your money. While there are several withdrawal options when you play for real money at this online casino site, you will not be given the chance to make a selection. That is because you are encouraged to use the same payment method used when you made your deposit. If that is not possible, you need to at least make sure that the name and other information on that account is the same details you used to register your Casino Heroes. The options will also sometimes vary depending on the country you are in. You simply have to follow the instructions according to the payment method that you are using. Upon initiating the withdrawal, the remaining bonus money that you have will be removed. The withdrawal request will be reviewed and additional verification will be asked if necessary. This is usually done when you are trying to withdraw a big amount. Now that you know how to withdraw money, you should now learn how to turn that into a reality. Obviously, you need to deposit real money first. You need to log into your account again to be able to make a deposit. You will then choose the payment method that you will use to transfer money into your Casino Heroes account. This method should have the same name and address as what you used in your account. Take note that this is the same method that you will use when withdrawing your money so make the choice carefully. After making your choice, you should follow the specific instructions stated. It usually varies depending on what you have chosen. There may be fees and charges involved and it varies as well. Once the deposit is completed, the amount will immediately be shown in your account. There are times when you will be asked to provide additional verification – which is all for your security. If you encounter problems, Casino Heroes have adopted a customer-centric approach. That means you get a lot of options that usually get fast results. In case you need the fastest answer to your questions, you should opt for the live chat support. However, this is available between 10am to 12mn CET. If it is not available, your other option is to send an email. You can also look at the help section to read the FAQs. With all the information you are providing, how safe are you from having your personal data stolen? Casino Heroes assures you that it will be safe. They use the latest SSL encryption technology. That means all the data being exchanged and transferred will be encrypted and protected at all times.